A body lift is the combinations of tummy tuck, thigh lifts, buttock lifts and targeted liposuction. Tummy tuck, can address excess abdominal tissue, while inner thigh and buttock lifts will address the thighs and buttocks areas. Liposuction can also improve the shape of targeted areas of the body if there is excess fatty tissue and the skin is tight, these are common body lift procedures. At Sydney Plastic Surgery we utilise a combination of procedures to improve the patient’s form; each is tailored to meet the individual’s body lift requirements. The objective of the body lift procedure is to give you a firmer shape, youthful appearance and leave you more confident wearing tighter and slimmer dresses. Numerous individuals who are overweight, genetically, habitually or after pregnancy, will attempt anything to lose weight and get back into shape. A small percentage of them are able to achieve their goals through diet and exercise. An even greater percentage of them, however, find that their weight interferes with exercise and confounds the problem. They find themselves in a catch 22 they can’t exercise because of their weight and they are unable to lose weight because they cannot exercise. One popular solution for individuals caught in this situation is to have bariatric surgery. This surgery modifies the stomach and intestines so that weight loss is possible. Bariatric surgery has been very effective in producing significant weight loss for many people who feel they have no other option. Full medical and clinical exam ensuring that the weight has stabilised before proceeding with any plastic surgery procedure. Patient’s desires and expectations will be discussed and a comprehensive regime will be implemented to address all body lift areas needing improvements. The patient will decide what area to address first guided by a professional plastic surgeons opinion. Plastic Surgery procedures following massive weight loss are generally extremely gratifying for both the patient and surgeon. The outcomes are usually dramatic and offer a significant functional and aesthetic benefit to the patient. Whether a person loses weight through diet and exercise or through bariatric surgery, there are a few obstacles that surface because of the weight loss. One of the most obvious would be the loose skin that remains after the weight is gone. To understand why loose skin is an after-effect of weight loss, here is an explanation: while someone is overweight, the skin stretches to accommodate the increased volume of weight. After weight loss, the skin often fail to tighten, and therefore it sags. In countless cases, it hangs. It acts as a continuous reminder of the weight you once were. Unfortunately, further diet and exercise will NOT tighten the skin (exercise never tightens skin, only muscles). The only way to tighten loose skin is through surgery. Most individuals who achieve significant weight loss often require having few of the above operations. Depending on which area bothers you the most, the surgery is tailored to fit your needs, beginning with the area of highest concern. Most substantial weight loss patients prefer to start with abdominoplasty (tummy tuck) and Breast lift procedure with or without breast augmentation for shape enhancement. The procedure is performed under General anaesthetic in a hospital and takes 5-7 hours depending on its complexity. As with any surgery, scars will be existent. The more skin that requires removal, the longer the scar. For a body lift, they will range from along the lower abdomen, around the hips, and toward the buttock crease. There is an additional scar in each groin crease due to the inner thigh lift. One way to look at it is that this operation exchanges one cosmetic problem (loose skin) for another (scars). Generally, those with very loose saggy skin following substantial weight loss are likely to find this trade off is worthwhile. Those with a small amount of looseness will perhaps not want the scars. Length of stay: 1-4 nights. Discomfort: Moderate. Anticipate 5-10 days of prescription pain medication. Swelling: Improves over 2-6 weeks. It depends on the complexity of the procedure that you have undertaken but generally you will be able to go back to normal duties within 2-4weeks. Exercise: May be recommenced in 4-6 weeks. Final result will be seen after the scars have matured, which will be approximately 6-12 months. 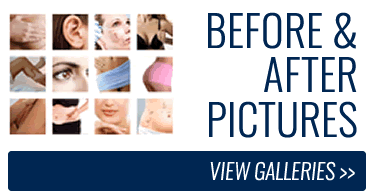 (Abdominoplasty, flankoplasty, thigh lift, buttock lift and liposuction). Total Cost: $21,000 (including Surgeon’s fee, Assistant Surgeons fee, Anaesthetist’s fee, Hospital, operating theatre and all follow up visits cost). This price assumes top hospital cover with a private fund. If fund cover does not apply in your situation, plan for additional costs of $10,000.